- on all devices and platforms. We offer you a smart solution to transfer any kind of live content. It does not matter if you expect 100, 10,000 or 1 million viewers. We process live signals from the latest H.264/H.265 encoders and multiplex streams and support the delivery of your signals using RTMP, RSTP, WebRTC or MPEG-TS to the nearest location. You can use standard procedures for delivery. Whether you use a hardware encoder from producers such as Teradek, Halvision or Elemental, or software such as Wirecast, our platform works with all solutions. To make the signal you send us accessible for every end device and platform, we transcode your content into various codecs, formats and resolutions to an adaptive multi-bitrate stream. The signal can therefore be received anywhere with our player in perfect quality and in Ultra-HD. For platforms such as Entertain, Android TV, Apple TV and so on, we offer HLS, DASH and Smooth Streaming methods for integration, so that your videos really can be viewed everywhere. 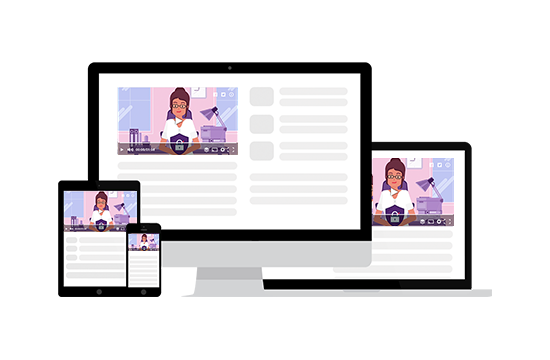 To optimally enhance your content on different end devices, we have developed our own video engine on the basis of HTML5 and CSS3. This guarantees optimal viewing of your video content on smartphones, tablets, desktop PC’s, Chromecast or Fire TV. Using media source extensions, we dock HLS and MPEG_DASH streaming methods to our engine, thereby ensuring optimal delivery of your video. 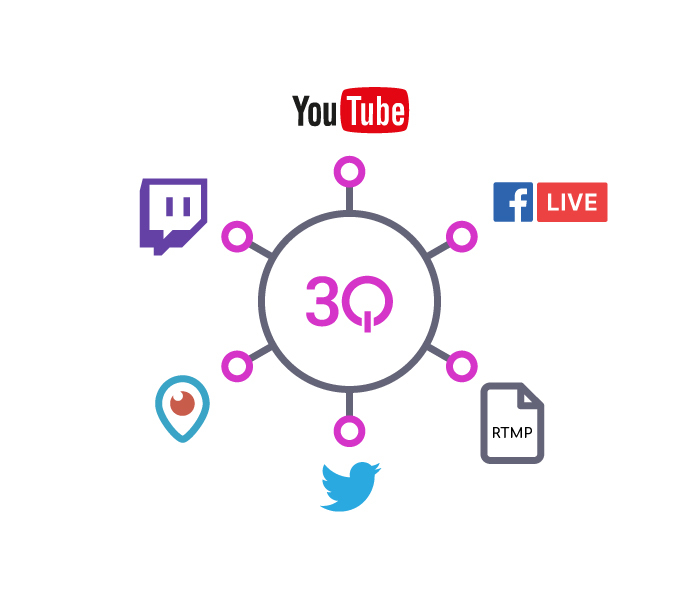 Push your livestreams permanently or selectively targeted to third party provider CDNs or social media portals, such as Facebook Live or You Tube generating additional coverage range. Manage your live signals using one single platform and distribute these with 3Q SDN. Multi Bitrate Cloud Transcoding in HLS und DASH. Take part in question and answer sessions in real time with your customers and shareholders. Record your live streams and publish them. Enable your users to rewind during live streams. Protect your content from unauthorised access.